Today on my humble abode is Ganesha Upadhya, who is starting his journey into writing from here. Here is a travel post from him which I believe he is amazing in. So dear world, introducing the Husband to you. Be kind and enjoy the trip to Rome! Wishing him all the luck and also thanking him for coming up with this perfect piece of travel writing in such a short time. This is my first post and I am pretty excited about this. All thanks to the boost from Ramya. Now, Let’s enter into ROME! As we hear the word “Rome” we go back to the history and the Roman Empire. The “Eternal City” as coined now, was wished to be the capital of the world. 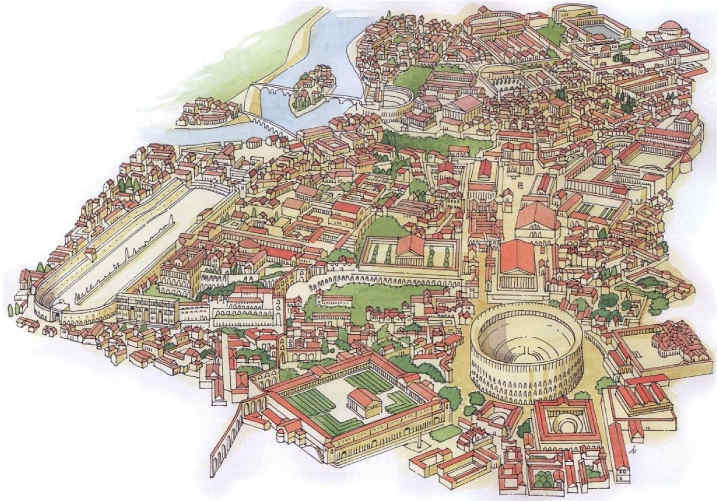 Rome was founded in 753 BC by Romulus. Roman legend says that Romulus had a twin brother called Remus. As babies, they were abandoned in the area which later became Rome. A she-wolf found and raised them, but when they grew up Romulus fought and killed Remus and became the first ruler of Rome! Okay! with a bit of history, let’s see what places you should not miss when in Rome. The Amazing and jaw dropping architecture marvel is for obvious reasons a must visit.Built and named as an Amphitheatre this was constructed using concrete, sand and large stones.As per the records, this was used for Gladiatorial wars, Animal hunts, executions, as a church etc. It’s a one of a kind and largest ever built Amphitheatre in the world. *Online tickets can be bought and saves time that goes in standing in the long queues. *Guided tour helps you to get the bigger picture which can be opted near the place. It’s one of the fantastic buildings built by Romans. Pantheon means Temple dedicated to all the God’s. In Roman period it was used as a temple and now as a Church. It’s the single largest unreinforced concrete dome in the entire world. The dome was the largest in the world for 1300 years and until today it remains the largest unsupported dome in the world! One of the fascinating fact: The distance from the floor to the top of the dome is exactly equal to its diameter. That’s just WOW! Isn’t it? Hence don’t miss it and start packing your bags. One of the most beautiful fountains in the world. Trevi is the district in Rome where the fountain is located and hence the name Trevi Fountain. These days the Fountain is crowded and almost all the people who visit Rome never miss this fantabulous place. It’s beautiful at day and even more miraculous during the night. The lights, the water and the fountain sculptures make you get lost in a dream world. You might observe people throwing coins into the fountain. Yup! You heard that right! People throw coins as a ritual and believe that the wish they make comes true. It is tried and tested, my wish just came true! Pssss, be careful before you wish. Unbelievable fact: What happens to the coins collected at the fountain? Well, as a matter of fact, each day there is an approx. of 3000 Euros collected from the fountain and the money is donated to Caritas, a Catholic charity, who uses the money to provide services for needy families in Rome. It’s time to finish it! And….Thanks Ramya for the inspiration throughout. You guys might know how nail-biting and tiresome your first post would be. You got to get it right and with great bloggers around and as your wife, you need to do your homework. I have tried my best I guess. That’s it for now folks. Ciao! I have to start traveling in the country first. 🙂 Then abroad. But Rome is definitely on my “travel wishlist” 😀 Thank you for these 3 recommendations. So will wait to see a travel post about an Indian travel destination. And thus… would Ganesh be starting a travel blog soon? Welcome to the blogging world Ganesh. Hope to see your blog soon! Good Luck.